A new business in a competitive market can face various challenges, and despite the promising status of your business concept, it might take a while until your brand develops as properly as desired. In some cases, financial struggles prevent companies from reaching the expansion objectives targeted, and without growth capital, a company shutdown might just be around the corner. After analyzing your possibilities in the financial department, you will conclude that how small business loans work might not provide you with the coverage needed, and the process of obtaining financial support can be lengthy and complicated. There are however financing alternatives that might appeal to you from various points of view. Dying businesses have the possibility of collaborating with alternative investors, willing to offer the monetary help a brand needs, while taking over some of the company shares. Private equity has risen in popularity over the last years and has saved numerous brands, turning them into successful companies. Before deciding to start seeking for an alternative investment firm yourself, you should learn more on the matter. The following details will help you understand better the advantages of private equity, and whether this type of funding is truly the right answer in your situation. Before looking into the benefits that you might be able to access through private investment funds, you should first comprehend the term itself. 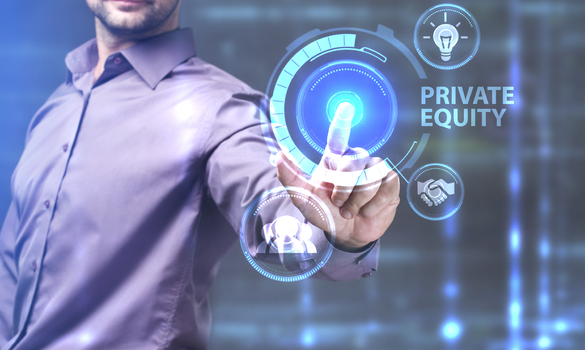 The basis of private equity is direct investment into a brand – shares of private companies are being purchased, shares that aren’t listed or traded publicly. Accredited investors with high capital invest money into promising brands, gaining ownership over the said enterprise and helping the concept develop and access profitability. While you can always apply for a business loan to keep your business from closing or going bankrupt, the amount that you might be able to get isn’t usually sufficient for proper growth and development. In comparisons with traditional funding, private equity comes with far more appealing numbers. Private investors are known for supporting certain brands with growth capital amounts that can reach even millions of dollars, as long as the potential of the said company is actually one that interests them and has a promising status in the industry. It doesn’t matter how much money your actually need to keep your business going, the right private equity firm will be able to support you and cover all expenses. Investors that have put the base of XIO Group explain how they help entrepreneurs keep their businesses running through capital availability. Whether the money goes on product production, on marketing or towards any other business development purpose, you won’t have to worry that you’ll run out of necessary capital to carry out your processes and meet your objectives. With the support of private investors, money will no longer be a problem that prevents you from reaching your goals. Besides the financial factor that comes into discussion, another thing that has drawn the interest of many small companies wishing to climb the ladder of success and grow into a popular brand is the involvement of the investors. The private equity firm you partner up with will analyze your business concept and how you are currently carrying out business affairs. They will guide you in making the right choices for future success. Every department of your company will be re-evaluated, and changes will be implemented in order to maximize the value of your enterprise. Because you’ll be working with experienced specialists, you can expect being presented with major improvements in an impressively short amount of time. While the primary role you have in your company will be kept, there will be people guiding you every step of the way and advising you on any major decision. It only takes a bit of documentation on the matter to discover how many major, now well-known brands have started as small as you and have managed to become international players of the business world through private equity support. With so many examples of private equity success cases, objectives that might have seemed impossible to meet in the past will soon become plausible. The advantages that come with alternative funding are clear and appealing, but you should now that not all investment firms willing to take an interest in your brand are equally reliable. Because you probably wish to maintain your role in the company and wish to access the highest returns possible, deciding on a private equity partner should be done with care. When you are evaluating the firms that could put growth capital at your disposal, you should focus on a few relevant factors. Positive, backed-up references are good indicator of what an investment firm is capable of bringing to the table, and see what brands they have supported in the past, and their current status in the industry. Beyond capital, what else can the said private equity company ensure? Their implication should usually go beyond the monetary help ensured, so looking into the resources they have available for further business development can be essential. You can also figure out if you’ll enjoy working together with the said group of investors during your first interactions. The impression the firm’s specialists leave on you can help you with your decision – because they will be holding the majority of shares, you need to feel comfortable working with the said investors. A business with limited future prospects due to insufficient capital can quickly reach closure if the right actions aren’t taken on the matter. If you still believe in your concept and company valuation, but need a bit of support in order to increase the potential of your brand, finding the right funding opportunities is a must. Traditional loans and the options put at your disposal by banks are not that appealing from various considerations, so seeking alternatives is recommended. The information found above clearly explains why private equity might just be the solution you were looking for.